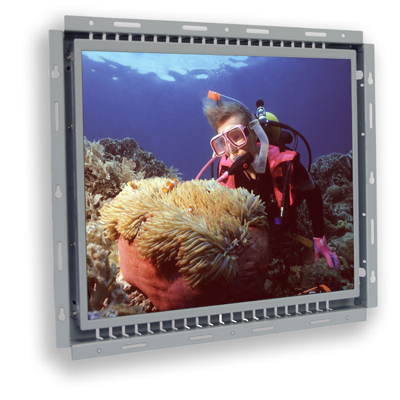 Caltron 17" resistive LCD open frame touch screen monitor has two models perfect for the large footprint applications under high ambient light environment. All components are comprised of top grade quality to ensure that the unit holds up in rugged environments and is able to function with 24/7 use. For integrator need a quick drop-in solution to shorten product development or reduce the future maintenance cost, the open frame touch screen monitors are the perfect fits. Here is the link to the 17-in touch screen monitor website. Need engineering support or help to make a decision, just give us a call or drop us an email with your specifications or questions.